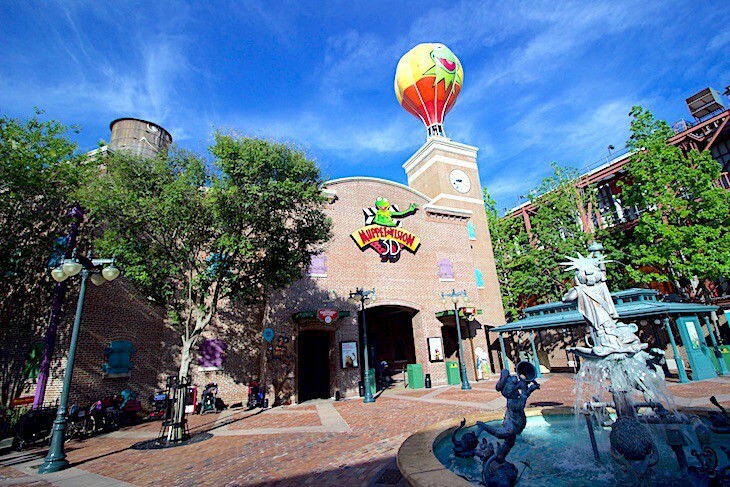 In Grand Avenue you'll find the Muppet Vision 3-D attraction in front of which sits is the glorious Miss Piggy dressed as the Statue of Liberty twirling and spewing water above lesser Muppets at her feet. Here also are quite a few dining spots such as Mama Melrose's Ristorante Italiano; the new Baseline Tap House with craft beers, wines, cocktails, and small bites; and the quick-service PizzeRizzo. Don your 3-D glasses and sit back to watch your host, Kermit the Frog, and the bumbling, fumbling Muppets.